Lolly, Lolly, Lollipop . . . 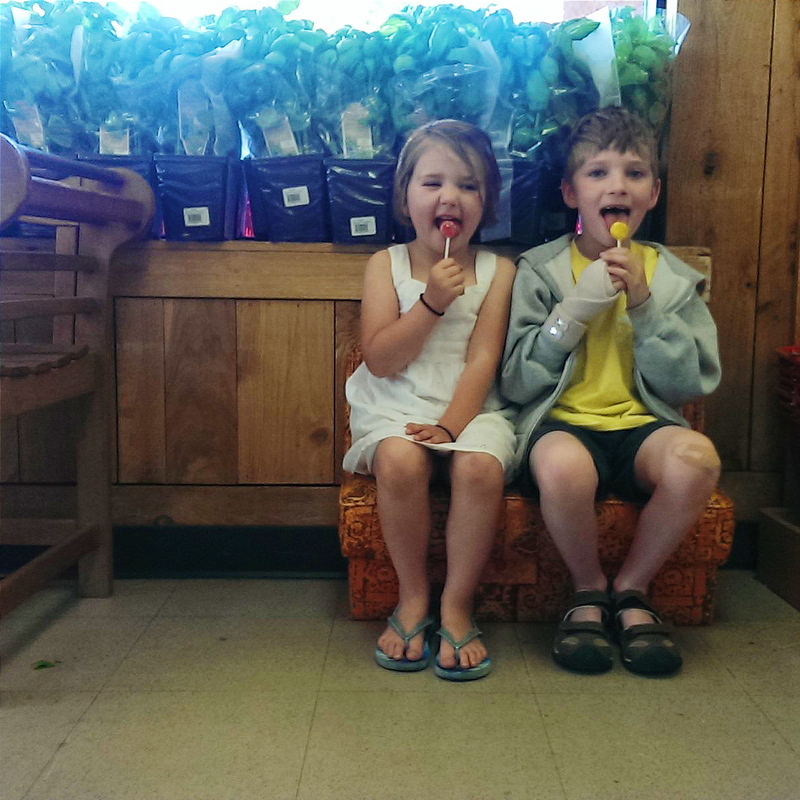 I took both William and Katie to the grocery store with me this week. Which means they both got to look for Carl the Crab at Trader Joe’s and get free lollipops (or, as Katie calls them, “Ellypops”).